The Downwinder is the trend of the moment! The tour starts in T.S. Giovanni and ends about 8km at our Surf Base in T. Mozza. 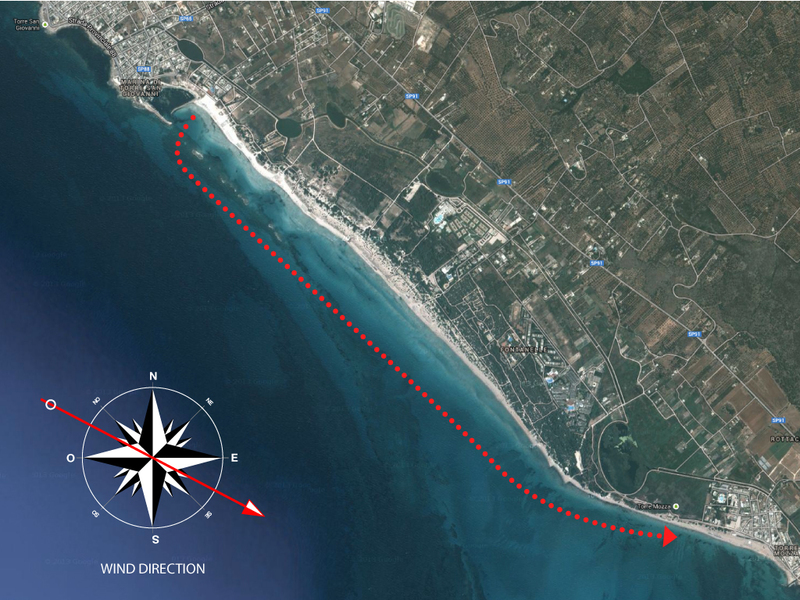 This is a different way to kiteboarding, that offers a unique perspective of the coast, without the difficulty to get upwind. You can ride over 8km non-stop in open space and avoid the holiday crowds. We offer tours with SUP or Kiteboard, transfer and assistance is included. Groups from minimum 4 people will be follow by boat assistance.